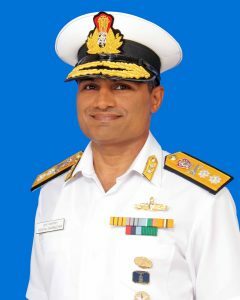 Kochi . 18 March 2019. 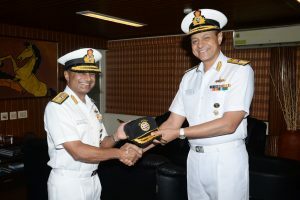 Rear Admiral Krishna Swaminathan, VSM, has assumed charge as Flag Officer Sea Training (FOST). 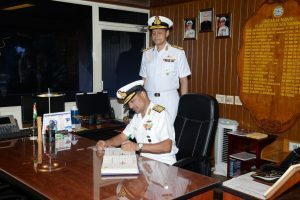 The officer has taken over the appointment from Rear Admiral Sanjay J Singh, NM, who has proceeded to Mumbai to assume his next appointment as Flag Officer Commanding Western Fleet (FOCWF).